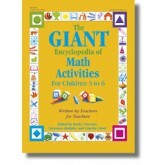 Over 50 great activities. Clear descriptions of what children learn by playing with blocks accompany the activities which consider the ability and interest level of the children and encourage developmental skills such as problem-solving, maths, science, language and skills. 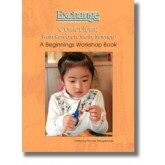 The activities in this book reflect the real world of children. Each chapter begins with the free exploration of materials. Children learn spatial relationships, patterning, shapes, numeration and many other maths concepts from these simple activities and the activities that follow allow children to build on what they have learned. Organized by curriculum area or time of day, each activity is complete with maths concepts, materials needed, and step-by-step instructions. Maths is the new focus in early childhood education, and the easy-to-use maths concept index is a fabulous feature for teachers so they can easily find appropriate activities for the children they teach. The activities in each chapter are organized by level of difficulty, and each one incorporates fun, exciting maths experiences with movement. 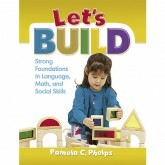 Most activities require few or no materials and include related children's books or music to extend the learning. The maths skills index is an invaluable reference tool, giving teachers flexibility to plan around children's interests. 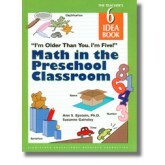 Classroom-tested and teacher-approved, these activities help children ages 3-6 learn all about numbers. 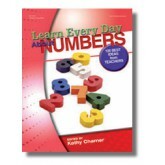 With 100 engaging and fun activities, Learn Every Day About Numbers offers everything a teacher needs to build a foundation for future math learning. Children will love becoming a Number Detective, a Flashlight Writer, or a Number Hero as they investigate the wonderful world of numbers. Complete with learning objectives, related children’s books, and an assessment component, teachers will find everything they need to teach children ages 3-6 all about shapes. 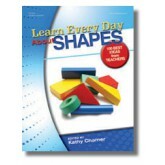 Learn Every Day About Shapes is sure to become a classroom favorite! Engage children with meaningful constructive play! 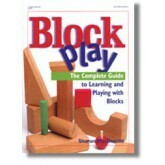 Blocks are a key teaching tool in any early childhood program. Through well-planned, teacher-supported block play experiences, young children can develop build math, language, and social skills while using their imaginations and boosting their creativity. 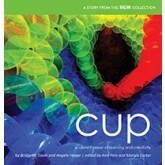 Children’s books and hands-on investigations bring math and science concepts to life! 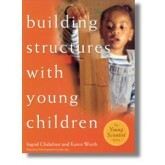 Young children are naturally interested in the patterns and processes occurring in the world around them. They are beginning to learn about the changes happening each day, month, and season. They are starting to ask questions about the environment and world beyond. They are anxious to explore the creatures in their own backyard. Math and Science Investigations supports young children’s natural curiosity and encourages them to explore what happens around them. 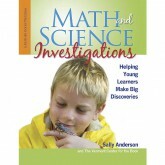 Hands-on investigations help children learn the skills, concepts, and standards of mathematics, science, language, and literacy – all at the same time – using some of their favorite books. Dedicated early childhood teachers strive to provide environments where students make new discoveries and test their limits. Utilising the latest research on maths learning, Math at Their Own Pace provides a series of pre-designed, inexpensive activities that teachers can make and place "on the shelf" for children to use when they are developmentally ready and interested. This child-directed approach provides a broad range of hands-on maths experiences that will help children learn to solve problems creatively. 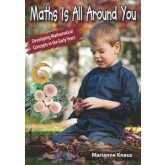 This introduction to early maths concepts contains easy activities for children ages 4-8 years. 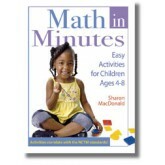 They can go on a Geometric Shape Hunt, measure with Pompoms, or find the Missing Numbers, just a few of the fun, simple activities you'll find in Math in Minutes. Each chapter begins with the easiest activities and progresses to more difficult ones. Early maths learning happens without rote drill, but it does not happen on its own. Young children need maths concepts presented thoughtfully and systematically, yet in a way that also respects their concrete thinking and their need to learn by exploring hands-on materials. 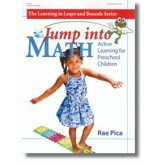 This book presents 50 early math activites that meet these needs for preschoolers. 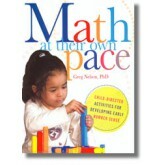 The development of mathematical understanding occurs in a range of settings: at home, during childcare, while shopping or at the park. Children are naturally curious and keen to learn about their world, including mathematics, and educators are ideally placed to enhance children’s early mathematical learning. But what experiences and opportunities are appropriate? This book is intended for early childhood educators in both preschool settings and the first years of school who would like to explore and investigate maths concepts to enrich children’s experiences and extend their current thinking and learning.